Allan Apple day celebrates the ancient tradition of Alantide – from the Cornish – “Kalan Gwav” meaning “first day of winter.” A Cornish festival traditionally celebrated at the end of October, beginning of November. This pre-Christian festival; similar to many celebrations around this time of year. is probably connected to the little known Cornish Saint. Allen or Arlan. One of the most important parts of this festival was the giving of “Allan Apples” – ideally a large, glossy, well-polished red apple; given to family and friends as a symbol of good luck. Games such as “ducking apples” would be played – now of course connected with Halloween. In some parts of West Cornwall children would take home their apple to hide in their beds! 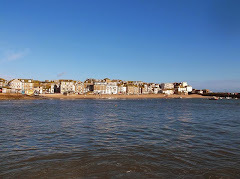 In St. Ives young ladies would take their apples to place under their pillows and; hopefully dream of their sweetheart to be!!!!! 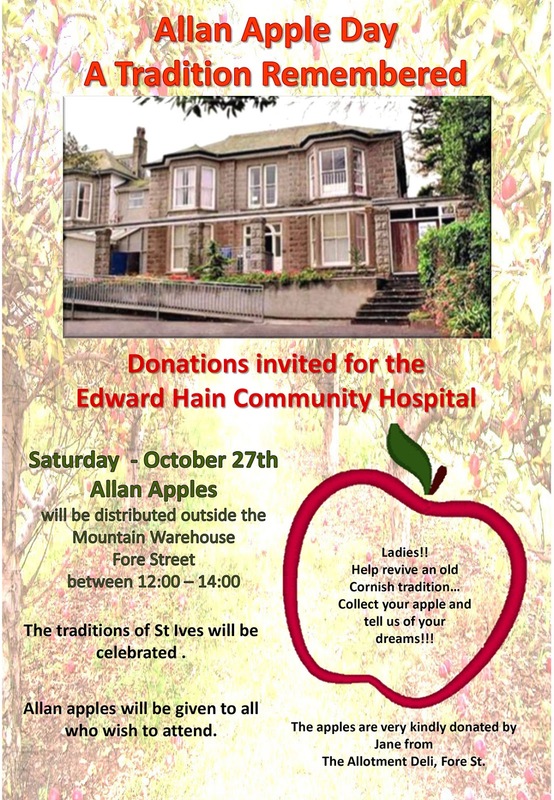 On Saturday 27th October 2018 Allan Apples will be distributed in the area outside Mountain Warehouse, on Fore Street between 12.00 and 2.00 pm. Bob Devereux, Ray Lloyd ,Toni Carver, Nicole Tesseyman, Phil Saward and others will be on hand to add to the festivities.